Update From Still Moments Nursery. I wanted to bring you all an update from Still Moments Nursery. 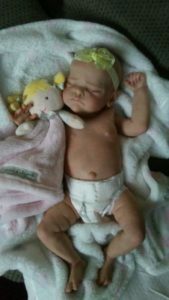 As many of you may know I received a baby from Nikki that I was very disappointed with and that I felt was not the quality I was expecting for the price. I am so honoured to be able to share that Nikki has reached out to me and has offered me a new baby in replacement of the first baby. 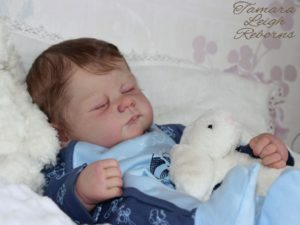 As the babyfrom Nikki was the first custom reborn baby I ever ordered, I spent time reserching and watching many videos on Youtube before ordering. This was one of the reason I felt so let down. But I hope that this new baby, if it happens it will allow me to share with you the work tht I know Nikki can do. 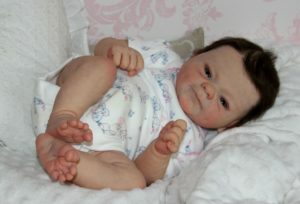 But for now I want to say that the first baby was not the standard Nikki used to do, and if she is returning back to her normal standard then we will all love the doll.